Join the Cape Ann Vernal Pond Team for a snakes of New England and the world exhibit at the Essex Elementary School STEM Night on April 26. The event is geared primarily for elementary school students and their families. During this free event, students will have an opportunity to explore Science, Technology, Engineering, and Math at our hands-on exploratory evening! Contact Rick at cavpt@yahoo.com. The Friends of Lynn Woods will be having its ninteenth annual Earth Fest on Saturday, April 27. Coffee will be served beginning at 8:30am. A spring cleaning of the park will run from 9 until 12pm followed by pizza, live music, and an informative snake presentation. This is a family friendly event. Meet at the Pennybrook Road parking lot. Contact the Lynn Woods ranger at lynnwoodsranger@aol.com. Join the Cape Ann Vernal Pond Team for a vernal pond display at the Rockport Earth Day Celebration on April 27. There will be a "gathering of earth-friendly ideas at the Rockport Community House as well as cleanups and other activities scattered throughout Rockport. Contact Rick at cavpt@yahoo.com. Join the Cape Ann Vernal Pond Team for its Snakes of New England and the World live animal presentation at Lynn Woods Earth Fest. The presentation will start at 12pm, after the morning cleanup. Meet at the Penny Brook Road parking lot. Contact Rick at cavpt@yahoo.com. Step up for survivors! 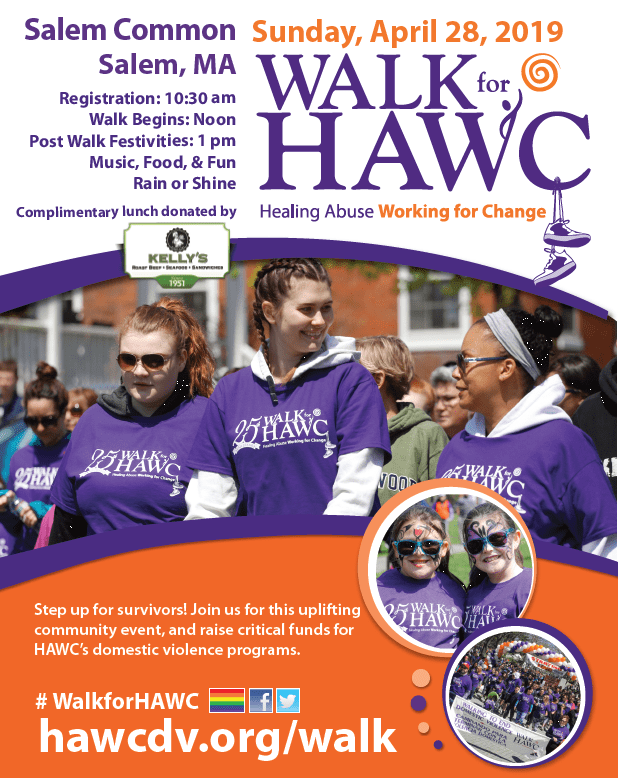 Join us for this uplifting community event, and raise critical funds for HAWC's domestic violence programs. Volunteers needed between 10 am and 2 pm. Please contact Taylor at taylorw@hawcdv.org for more information! Join the Cape Ann Vernal Pond Team for a live animal exhibit at Gloucester Pride Stride on April 28. The team will participate in the walk at noon and then have its live animal exhibit at the after-walk party. Contact Rick at cavpt@yahoo.com.